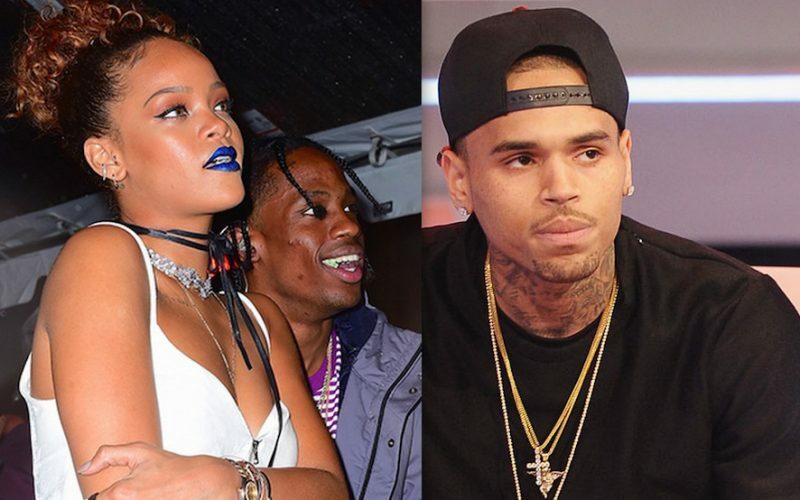 Chris Brown and Rihanna are not on speaking terms right now and its due to her budding relationship with Travis Scott. The Bajan pop singer and the rapper/producer have been a hot item for a few weeks now. Last week a video surfaced of the two displaying some PDA at her NY Fashion Week party. RiRi people are telling us that Chris Brown threw a jealous tantrum about their relationship while speaking with Rihanna on the phone and she would have none of it. “He is clearly jealous and tried to start an argument with RiRi about it but we all know how feisty she can get so she would have none of that BS from him,” sources close to the pop star told Urban Islandz. “They have been having a great friendship for a while but this is definitely driving a wedge between them. I think he felt like there was some hope that they would get back together but she has long laid down the rules to him so I highly doubt that she will ever go back to him,” our sources added. 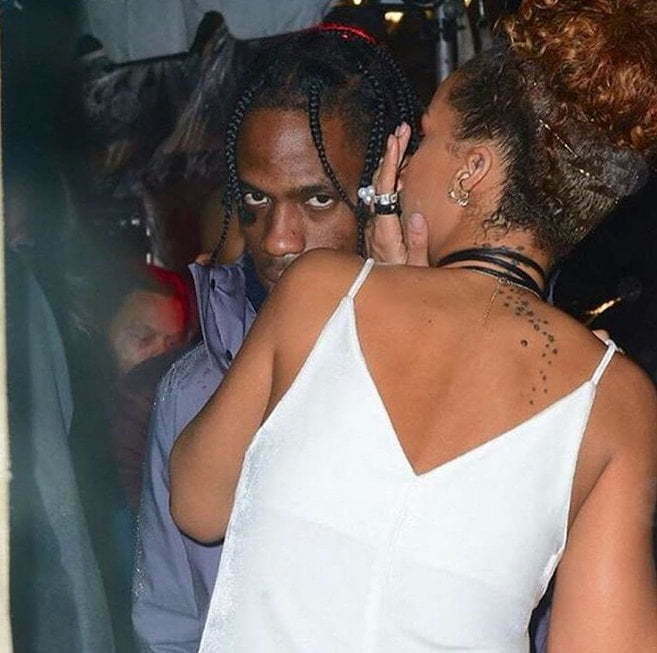 Seems Rihanna is not taking any criticism from anyone regarding her relationship with Travis Scott. Just a few days ago she went off on some of her most loyal fans on Twitter by blocking and unfollow them for calling her new rapper boyfriend ugly. Folks around her told us that she does not want that kind of negativity right now because her focus is to be happy and she is happy with who she is dating. Rihanna is currently working on her new album R8. Her fans have been yearning for the new project to drop but so far no word from her camp on the release date or official title. RiRi and Chris get counseling and then get married already. This is a lie, Chris could care less about what Rihanna does and who she does it too. He let Rihanna go when he got with Karrueche. So stop the lies. Chris doesn’t want Rihanna especially after being with Travis. He let Kae go, then he got with Rihanna. He wanted to date both, so Rihanna left. Kae went back to him after Rih left. Then Kae left, so…..he may still want Rih back. In “love 2 remember”, he said they will meet again once upon a time. That was for Rih.? ?